That idea was the driving force behind the formation of Cancer and Conversation, a group at Trinity that was established to lend support to those in our congregation who have had the disease and, if needed, provide meals and transportation. Our vision has now grown to include forums with speakers to educate the congregation about current cancer treatments and medicines and to inform us about trends in prevention and recuperation. 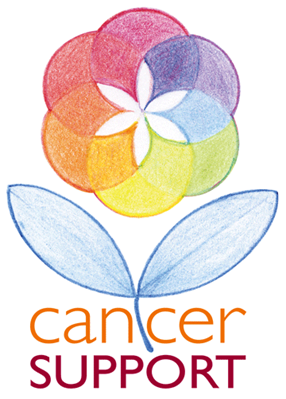 The 23 members of Cancer and Conversation would like you to know that we are here to help and support you. Whether you would like to ask a question about our treatment or follow-up, or just discuss other concerns, we are here to listen. Our members have had many types of cancers: leukemia, testicular, breast, ovarian, uterine, endometrial, lung, cervical, kidney, prostate and pancreatic. Treatments have included surgery (both manual and robotic), bone marrow transplant, Tamoxifen, Herceptin, Arimidex, radiation and chemotherapy. If you would like to speak to someone in the group, please call the church office and they will give you contact information appropriate to your type of cancer or treatment. As a group, we also welcome you to join us and help us expand our mission at Trinity and beyond. Check the W and W or the Church calendar for our next meeting.